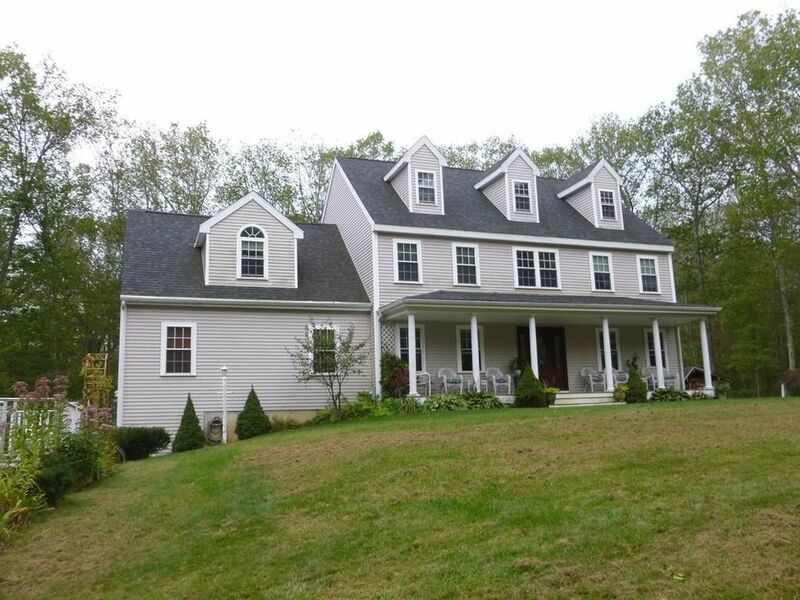 Custom built 11 room colonial with walk up attic. Has field stone fireplace, home office with French doors, entertainment room with deck access, hardwood floors, maple kitchen cabinets, skylights, recessed kitchen lighting, front porch, large rear deck, barn/shop, perennial garden with shed, small garden pool and above ground salt water pool. Family room aka entertainment room is well situated with wet bar, refrigerator/dishwasher and wood stove. Master bedroom has his/her walk-in closets. Master bath has soaking tub and large glass shower stall. Sit and/or entertain on the front porch and rear deck. Situated on over 14 acres of woodland with motor bike/hiking trails. Come see the possibilities.